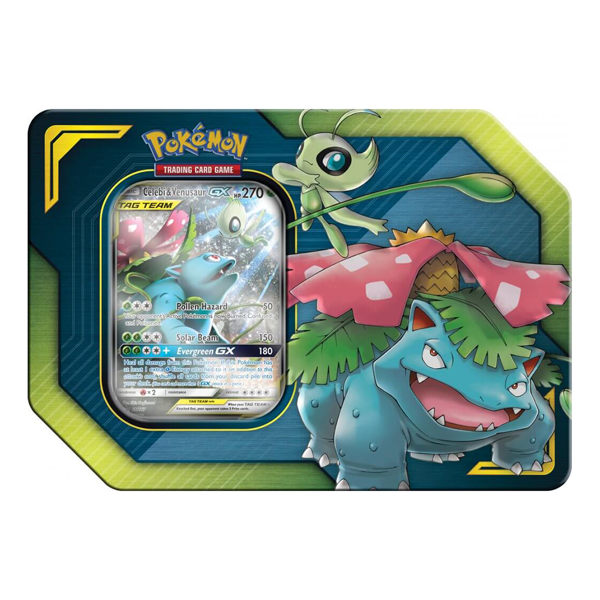 A TAG TEAM can be stronger than a Pokémon battling solo! 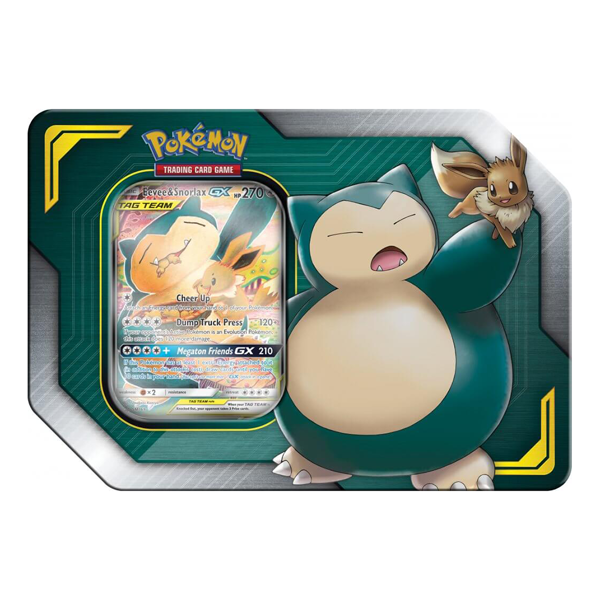 Choose from three strong duos – Pikachu & Zekrom-GX, Eevee & Snorlax-GX, or Celebi & Venusaur-GX – in the Pokémon Trading Card Game: TAG TEAM Tin. 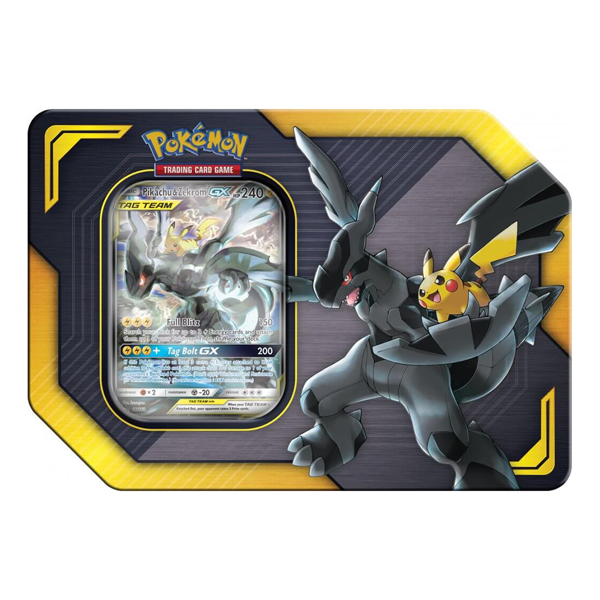 Each of these fantastic tins contain an amazing pair of Pokémon who work together perfectly as a team – with a GX attack that can leave opponents in the dust!